If you want a more classic-looking countertop that is easy to install and more affordable than others, get a butcher block countertop. This type is extremely useful in food processing and preparation. Butcher blocks are durable but can also be easily damaged if not regularly treated. What could go better with kitchen cabinets and appliances that have stainless steel finishes than a stainless steel countertop? This is a great option for achieving an industrial kitchen look. It is also easy to clean but may collect scratches and dents, over time. If you have money to spare or have been seriously saving up for your dream kitchen, you may want to check out granite countertops. Granite is a popular choice because of the uniqueness it can bring to your kitchen. It is a tough material for a countertop but needs regular maintenance and repair. If you want a seamless-looking countertop that is both affordable and easy to clean, go for a laminate countertop. Laminates are also stain and heat-resistant and will work well in most home kitchens. They are most vulnerable to water damage, however, and may need to be replaced sooner than other types of material. Yet another more expensive option is the marble countertop. Working on a marble surface can be a dream as it gets more beautiful to look at throughout the years. What adds to the expense of owning one, however, is keeping it sealed and safe from all sorts of stains and scratches. 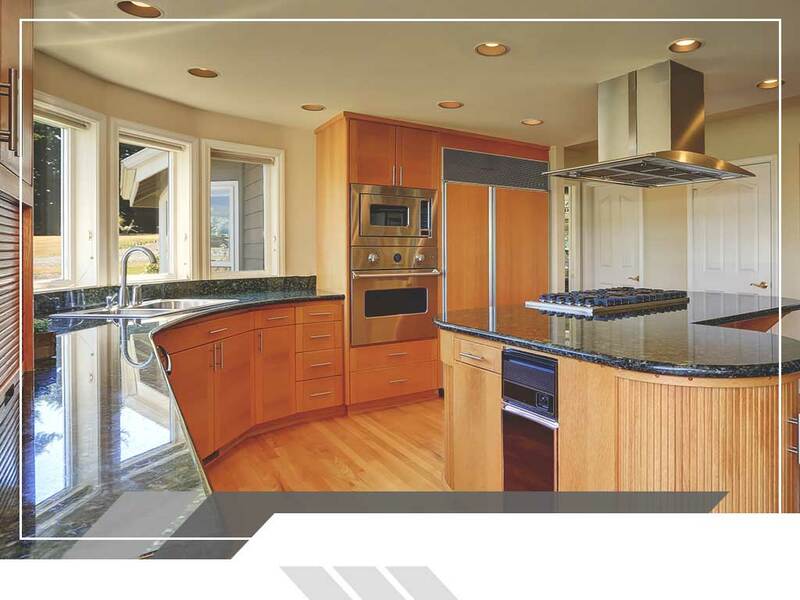 At Harbour View Kitchen and Bath, we make sure that all the countertops, kitchen hardware, and bathroom cabinets we provide are of the best quality and expertly installed. Give us a call at (757) 644-0848 or fill out our contact form for a free consultation. We serve homeowners in Chesapeake, VA, and nearby areas.